The Common Written Examination (CWE) clerk VIII examination which was conducted on December 8, 9, 15 and 16, 2018 will have the results displayed by late evening today. 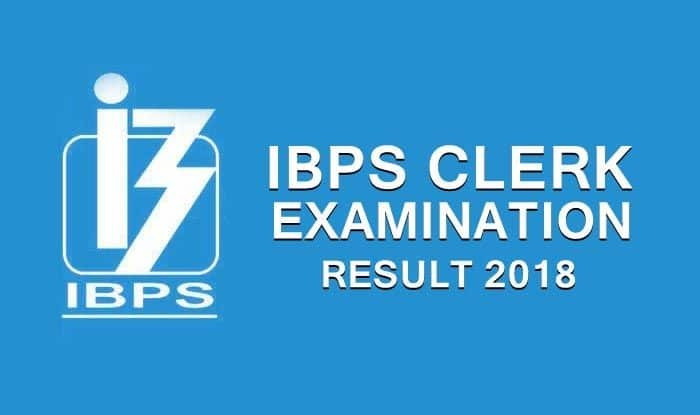 IBPS Clerk Result 2018: The IBPS Clerk Result 2018 will be released on Friday. The Institute of Banking Personnel Selection (IBPS) is soon going to release the result of the prelims on January 4, 2019, on the official website- ibps.in. The admit card for the IBPS Clerk Main examination, which is to be conducted on January 20, 2019, is likely to be released either on January 5 or January 6, 2019. Step 1: Visit the official website of IBPS- ibps.in. Step 2: Click on link “Result” link given on the top of the page. Step 4: Enter your registration number and password and enter the Captcha code. The IBPS had announced a total of 7,275 vacancies for the Clerk recruitment in the year 2018. Last year, the IBPS Clerk preliminary exam results were announced on December 29, 2017. Candidates must note that for the IBPS mains examination, one will get 160 minutes for solving 190 questions of 200 marks. There is the provision of the negative marking also. If a candidate gives the wrong answer then 0.25 marks will be deducted as a penalty from his total marks. If no answer is given, or candidate does not attempt any question, then no mark will be deducted from his/her scores. The Institute of Banking Personnel Selection (IBPS) holds exams to recruit probationary officers and clerks for its associated Public Sector Undertaking (PSU) banks, SBI, Associate Banks of SBI, RBI, NABARD, SIDBI, few Co.op Banks, LIC and Insurance companies.